(MENAFN - Jordan Times) AMMAN — Minister of State for Media Affairs and Government Spokesperson Jumana Ghunaimat on Wednesday said that it is required for professional press to always see the difference between freedom of expression and peoples' privacy. Ghunaimat said that building societies cannot be through silencing peoples' mouths, adding that the government is committed to improving laws regulating the conduct of media outlets, the Jordan News Agency, Petra, reported. 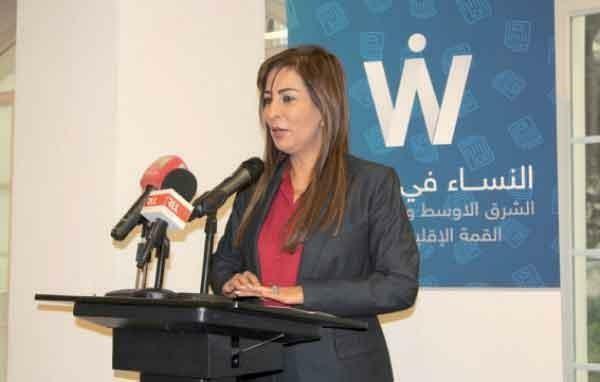 The minister's remarks came during a speech she delivered at the first regional conference of the Programme "Women in the Media" organised by the International Organization of Newspapers and Media Publishers (Wan-Ifra) in Lebanon. 'The woman is not an image but a mind, thought and cause she supports in the society and the press,' Ghunaimat, a former edito-in-chief of Al Ghad daily, said. The minister also said that the government's withdrawal of the cybercrimes and access to information laws from the Lower House aimed at improving the bills regulating the conduct of media outlets.